Kickboxing Defence Arts – all skill levels welcome and there’s no need to book! Feel free to drop Matt an email for more info but remember there’s no need to pre-book or watch a class first. Everyone is welcome, no matter what skill / fitness level! 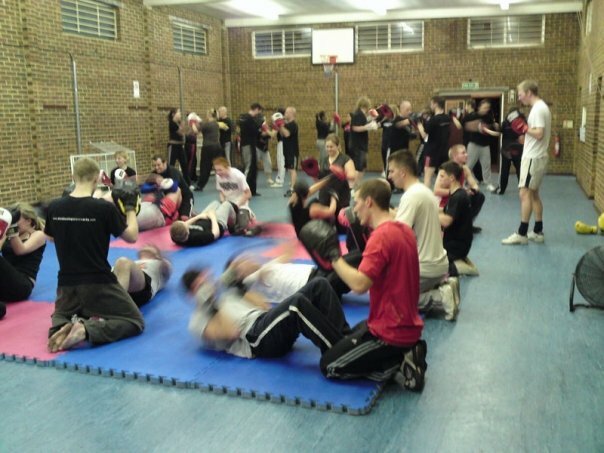 For more information on Crayford, Sidcup and Kent Kickboxing Defence Arts classes please call Matt on – 07811 390 923 or email Matt matt@kickboxingdefencearts.com.